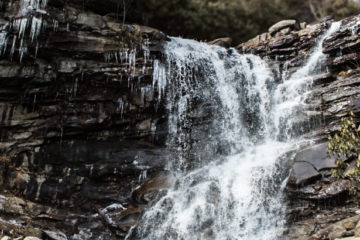 Sure, there are plenty of winter adventures in the Appalachians, but it’s hard to deny the allure of warm-weather hiking. In February, Florida’s rains have subsided, the bugs are (mostly) gone, the temperatures moderating, and the landscape as lush as ever. Snowbirds, it turns out, are onto something. 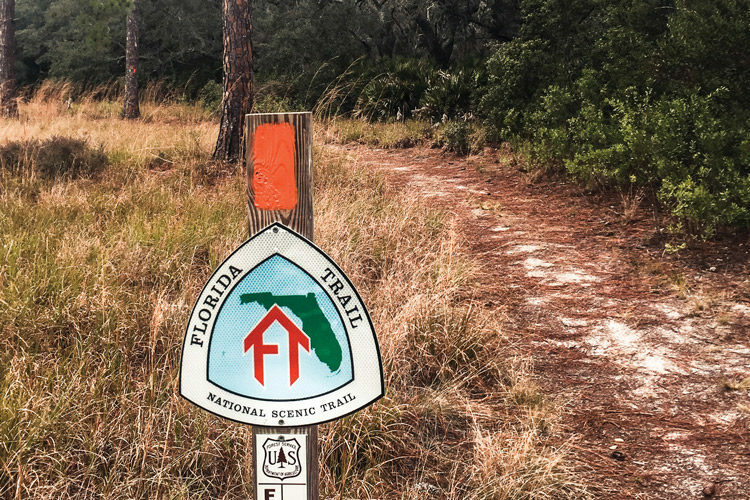 The backbone of the Florida hiking community is the orange-blazed, 1,300-mile Florida National Scenic Trail, or simply the F.T. 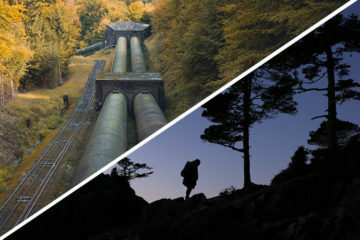 The F.T., which stretches from Pensacola Beach to Miami, is “unlike any other long-distance hike in America,” contends local James “Jupiter” Hoher, who operates Jupiter Hikes. It’s wilder, tougher, and more scenic than many assume. 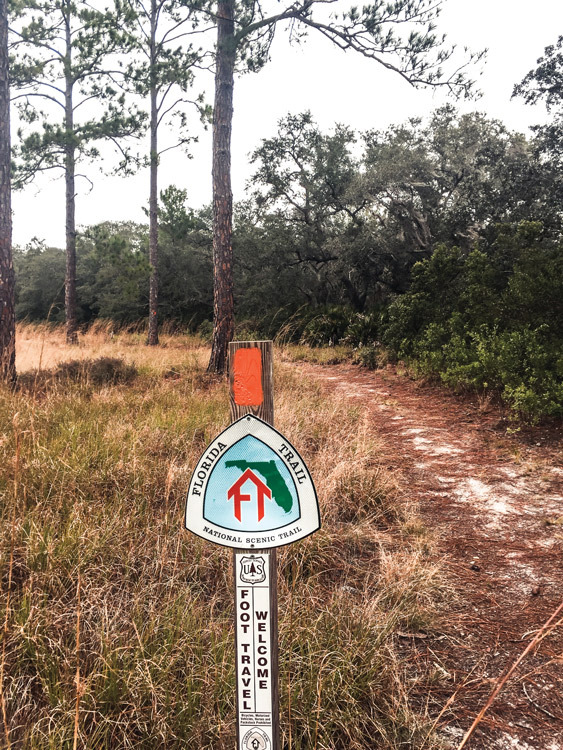 As the trail hopscotches between protected swaths of longleaf pines, prairies, and oaks, it’s easy to forget about the pricey, ticketed attractions and high rises. Even more enticing, the F.T. only gets a fraction of the traffic as other long trails. Across much of the trail, skittish Florida black bear or bugling sandhill cranes are more common than hikers. Don’t skip the tiki bars, amusement rides and beaches on your next Florida trip, but carve out some time for one of these five orange-blazed F.T. hikes. This is the perfect escape from your next family Disney expedition in Orlando. Park at the Barr Street trailhead, and follow the F.T. as it traces the bluffs of the Econlockhatchee River (“Econ” for short). From your vantage point, you’ll likely see a few gators in the tannic waters below. Downstream, link up with the white-blazed Flagler Trail which loops back to the F.T. Set a shuttle at Red Rock Road and set off from Blackwater River State Park. Once paralleling Juniper Creek, you’ll be surprised by the steep, red-clay bluffs and diversity of habitats. Start beside the blue-green waters of Juniper Springs, cross through the big scrub of Juniper Prairie Wilderness, and camp under the big sky of Hopkins Prairie. Finish on Salt Springs Trail with a celebratory dip in the constant 72-degree waters of Salt Spring Run. Commit to this long-haul section of the F.T. between Bell Springs and Twin Rivers State Forest for a little bit of everything, including sinkholes, springs, shoals, and even the sleepy trail town of White Springs. Here, says Jupiter, is where the F.T. most resembles the A.T. with rolling hills and even a few riverside shelters.